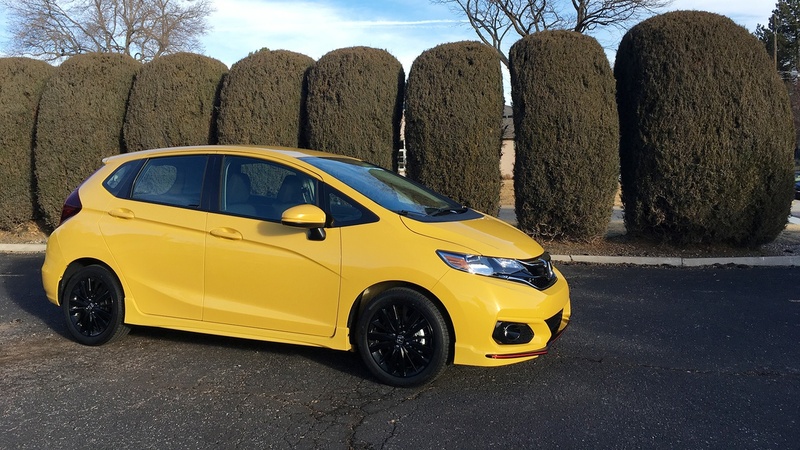 The new Honda Fit sport doesn’t feature a turbocharger, track-tuned suspension or R-compound tires. A downsized Civic Type R it is not. “The new Fit Sport trim features an even more aggressive and sporty look with aero form features at the front, sides and rear, integrated fog lights, and a low and sharp front splitter highlighted in bright orange. An exclusive gloss-black finish on the 16-inch alloy wheels further adds to the sporty look. At the rear, a three-strake diffuser with bright orange upper trim line, chrome exhaust finisher and Sport badge complete the Fit Sport's distinct exterior styling. although, otoh, all that marketing speak sounds like: "we made these minor visual tweaks to get two more years out of this design before a platform refresh"
i think it'd be real fun to take an L15B7 6-speed LSD'd Fit to OneLap... it mightcould keep up with the Fiestas... and easily swallow up track gear. Maybe 2021? It's also about the same as we paid for our '09 Fit Sport. It's at almost 190k, belongs to our daughter & son-in-law, and is in Germany with them. I was genuinely surprised to a find a stick shift in our test car. I didn't complain at all but was still surprised. It's about time you got something that you guys actually wanted to write about. You had been getting some real duds for a while there, which led to reviews that...Shall we say...Left something to be desired. If the current Si uses an L15-based 1.5L turbo, could you mix and match your way into a 200hp never-was Fit Si? Does it feel like less of a penalty box than a Versa Note does? Also the base Mazda 3 hatchback is $2k more not inconsequential money but close. Does it offer anything that the base trim Mazda 3 would be lacking? The Fit has always interested me, not on for the potential for a K24 swap, but because their owners tend to be zealots. I'm not sure if it's that good or if it's just confirmation bias. This week we have a Benz E400 coupe. I am not complaining. I wouldn't call the Fit a penalty box at all. It felt a bit more upmarket than its price would suggest. A friend of mine recently replaced an early Fit with a new one. That interior looks like a really nice place to spend time. The one you tested doesn't appear to have the HFP package, but does anyone know what the optional HFP Sport Suspension actually is? Glad to see a Fit getting some attention/love!! I absolutely love mine. Last year it was time to replace my beloved 2012 Kia Soul, the base model with the 1.6 and 6-speed manual. The Soul is another car that is a lot more fun and capable than appearance and price would lead one to believe. I'd rather have had one of the better trim levels with more creature comforts, but if you go for anything but the base model you can't have the manual gearbox. I don't do automatics, never have, never will. I really loved the Soul, it was an absolute blast to drive, and I put 145K miles on it, drove it like I stole it most of the time. Such a happy little car, it just begged you to flog it harder and harder. Never a single mechanical issue, rock solid. The base model Soul is pretty Spartan. No Bluetooth, no cruise control, no audio controls on the steering wheel. About as basic as cars get these days. Eventually the lack of amenities and creature comforts started to get pretty old. So I, somewhat reluctantly, began seeking a replacement. 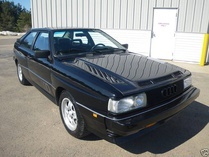 Requirements were, low cost, manual gearbox, cruise control, 30+ MPG and a history of reliability. It didn't take me long to zero in on the Honda Fit as the most likely candidate. I'd always liked the sporty look of the Fit, so I took the 1.5 mile drive to my local Honda Dealer to test drive one. They had at least 15 on the lot, and not a single one had a manual gearbox. WTF?? Well, I wasn't really looking to buy brand new anyway, so just for kicks I test drove one with the CVT automatic, just to get an idea about chassis and handling. Acceleration and overall driving feel really suffered with the CVT, but I could tell that the chassis was tight and the handling really surprised me, very solid, tight and composed in the corners. Felt like a more expensive car. Good lord! It's not easy to find a used Fit of any mileage that has the manual gearbox!! I'd just about given up hope when, about 6 months after my visit to the dealer, I get a call from them saying that they had found what I was looking for. I left work a little early and drove over to check it out. What they had was a CPO 2015 Fit EX in pearl white, not the color I'd have picked, but at least it wasn't black. 12K miles and almost flawless paint and interior. 5 min into the test drive and I knew that this was what I'd been looking for. I have to say, compared to the CVT I'd test driven, this 6-speed car felt like a completely different model altogether, the difference is striking. The price they were asking was actually pretty fair, I didn't haggle too hard but got a pretty decent deal anyway. I've been driving it about 9 months now and I am beyond satisfied with my choice. It feels faster than it is, the handling is far better than any car at this price has a right to be. I'm a big fan of the whole "it's more fun to drive a slow car fast" thing and this little car just puts a big stupid grin on my face. About the only thing that lets it down are the brakes, when you push them hard, they tend to fade, and the rotors warp. Upgrading to better rotors and pads should fix that, there are decent drilled and slotted rotors available pretty cheap. Those and some EBC pads are a no-brainer upgrade. I'm getting about 33-34 MPG around town and almost 40 on the highway, and having a great time doing it. It's MUCH more comfortable than my old Soul was, much quieter inside too. The all touch-screen radio was a little annoying at first, but it works well and I got used to it pretty quick. About the only other niggle I can come up with is that when it comes time for new tires, there isn;t a great selection in this, rather odd, size, and no one ever has any in stock, they will have to be ordered. Thank goodness for TireRack. All thing considered, I'm very pleased with this silly little car. Kudos to Honda for still offering a manual gearbox in much of their lineup even in the higher trim levels. I wish more manufacturers did the same. About the only other niggle I can come up with is that when it comes time for new tires, there isn;t a great selection in this, rather odd, size, and no one ever has any in stock, they will have to be ordered. Thank goodness for TireRack. Don't bother with the crap available in the 185/55-16 stock size...205/50-16 is the size you are looking for. I kind of want to drive one of these to compare with my SX4 hatch. The Fit's proportions are a bit odd to me, like they should be wider, especially at the rear. I also like the SX4's lower beltline; the Fit's rear door glass especially looks too short. I'm going to guess that overall chassis dynamics are better with the Fit, but if the kind of bouncy ride quality of the SX4 isn't coming into play, the Suzuki is pretty enjoyable to drive in a hurry. In my personal estimation, of course. Good idea. I'll probably do just that when the time comes. We always ran 195/50-16 Continental DWS. They were a good size for the car, and tackled all but the worst midwestern weather.